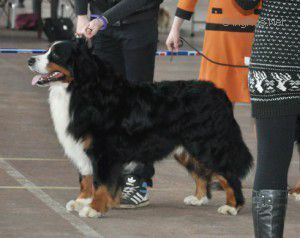 LUKAS VAN'T STOKERYBOS - World Pedigree DataBase Berner Sennenhund, Berner Sennenhund Pedigree DataBase. Titles: Junior Champion of Belarus, Lithuania, Russia, Junior Grand Champion of Belarus Junior Champion of Breed. Champion of Lithuania, Belarus, Russia . HD-A, ED-0. DM-NN. (vWF (von Willebrand factor)) NN. eyes-clean. HD-A, ED-0 DM-NN. (vWF (von Willebrand factor)) NN. eyes-clean. Belarus, Russia . HD-A, ED-0.